For international business firms, Double Taxation Relief is one of the key factors which determines the profitability and scalability of operations. Understanding the concept of Double taxation and Double Taxation Relief is very much important for business enterprises and especially students of Economics and International business. In this post, the concept of Double taxation and Double Taxation Relief are explained. What is Double taxation ? 2. Residential status rule Under Residential status rule, the income earner is taxed on the basis of his/her residential status in that country. Hence, if a person is resident of a country, he/she may have to pay tax on any income earned outside that country as well. 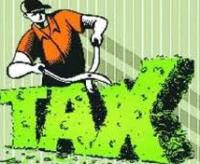 Thus, the same person may be taxed in respect of his/her income on the basis of source of income rule in one country and on the basis of residence in another country leading to double taxation. 1. A company or a person may be resident of one country but may derive income from other country as well, thus he/ she becomes taxable in both the countries. 2. A company or a person may be subjected to tax on his/ her world income in two or more countries, which is known as concurrent full liability to tax. One country may tax on the basis of nationality of tax-payer and another on the basis of his/ her residence within its border. Thus, a person domiciled in one country and residing in another may become liable to tax in both the countries in respect of his/ her world income. 3. A company or a person who is non-resident in both the countries may be subjected to tax in each one of them on income derived from one of them. For example, a non-resident person has a permanent establishment in one country and through it he/ she derives income from the other country. We know that Airtel has operations in South Africa. If South Africa has "Source of income rule", what ever profit earned by Airtel is taxable in South Africa. Just think that India has "Residential status rule". Now the same profit income earned by Airtel in South Africa is taxable in India too. This scenario is known as Double taxation. What is Double Taxation Relief or Double Taxation Avoidance ? Double Taxation is international recognized as a non supportive measure for business and almost all countries have agreements for avoiding double taxation. Double Taxation Relief or Double Taxation Avoidance are two methods to implement that. As of now, India has comprehensive Double Taxation Avoidance Agreements (DTAA ) with 83 countries. Income Tax Act 1961 of India has two provisions, Section 90 and Section 91, which provide specific relief to taxpayers to save them from double taxation. Section 90 is for taxpayers who have paid the tax to a country with which India has signed DTAA, while Section 91 provides relief to tax payers who have paid tax to a country with which India has not signed a DTAA. Thus, India gives relief to both kind of taxpayers.